Towards the end of the twelfth century, two noblemen approached Raymond V, Count of Toulouse, with a proposal to build a château and 200 houses on a hill in the Quercy region. 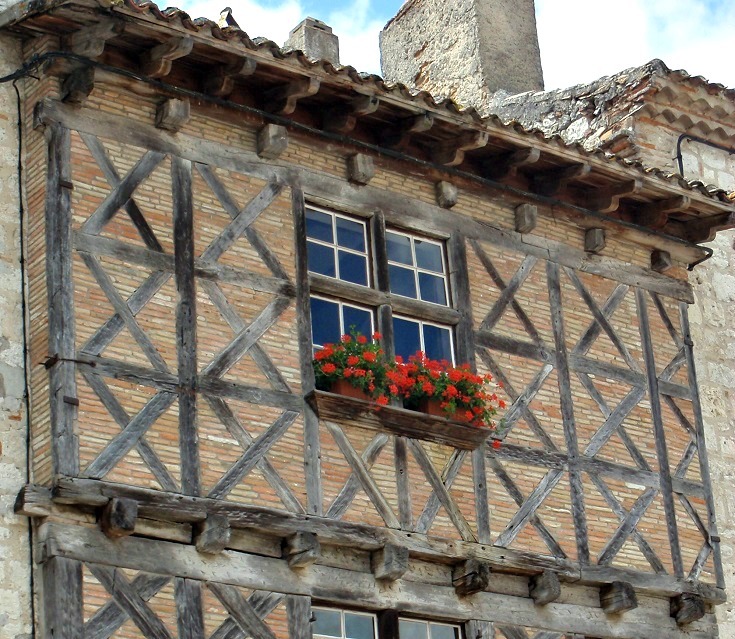 It was perhaps, the start of the very first housing development in France—and they’ve been popping up ever since! Protected by the towers and six gates (portes en français) that control the entrance to the town, Lauzerte was the earliest version of the bastide, or fortified town, which provided a strategic defence post for the rulers of the time. 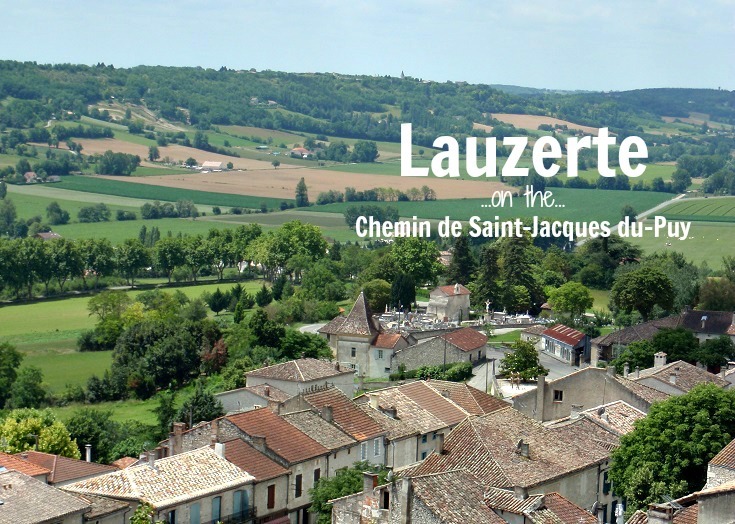 Today Lauzerte is classified as one of France’s most beautiful villages—and is the first of four you’ll visit on this section of the Chemin de Saint-Jacques between Cahors and Eauze. As you arrive in Place des Cornières, call in to the Tourist Office and ask for a map of the village (or download one from their website). 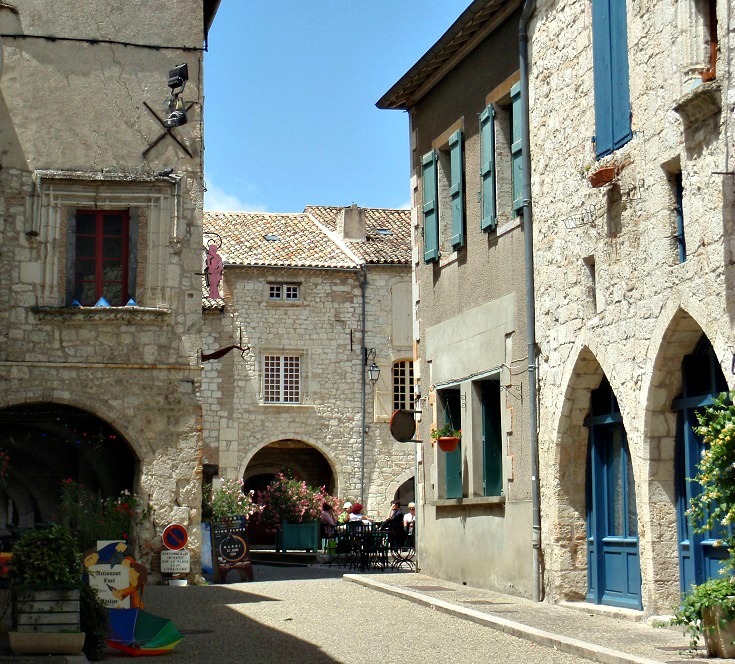 Place des Cornières has been the hub of Lauzerte since its beginning—it has been the site of fresh food markets, festivals and, during the French Revolution, public executions. You’ll find several cafés here for lunch or dinner and several more below the Barbacane on the far side of the village. A church dedicated to Saint-Barthélémy is located across the village square. Built in the thirteenth century, the church has been enlarged and refurbished many times and now the doorway is all that remains from the original structure. Although much of the city walls and portes are gone, there are plenty of medieval buildings and houses remaining in the village to make a stroll through the back streets worthwhile. Grand Rue and Rue de la Garrigue are lined with stone-and-timbered houses dating from the thirteenth and fifteenth centuries. A walk along these streets leads you to Place du Château, which has glorious views over the countryside (sadly, the Château itself is no longer standing). On the southern side of the village, Jardin du Pèlerin will lead you through fragrant rose gardens, where display boards offer an insight into the joys and struggles of daily life for early pilgrims on the Chemin de Saint-Jacques. 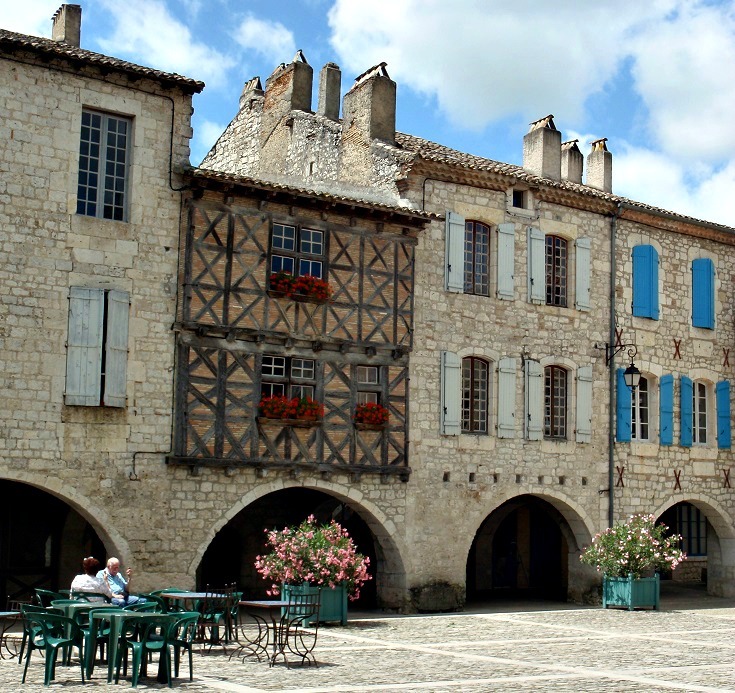 Which long-distance walk visits Lauzerte?